Schmid/Scholz address questions that result from the connection of ‘art’ and ‘pop.’ There are several reasons why they have arrived at these questions. One of their starting points is not a theoretical one, as the theme might at first suggest, but rather an object. Two years ago, Schmid/Scholz started building a synthesizer. It was produced without any prior knowledge and in excessively detailed work and research—the information was taken almost exclusively from the Internet and user groups. The finished product, which was initially intended to serve no other purpose than to be a musical instrument for their own sessions, received great attention and approval in the fields of both art and pop. In their work, Schmid/Scholz attempt to pose at different levels the question of the extent, to which conceptions and attributions of meaning are independent of time and context, thus needing to be repeatedly rethought. The presentation that has been developed for the Grafisches Kabinett includes a compilation of possible answers, although these are subject to permanent revision. What is shown is a multi-part video that not only questions people from the fields of art, pop and theory, but also integrates itself into this complex. 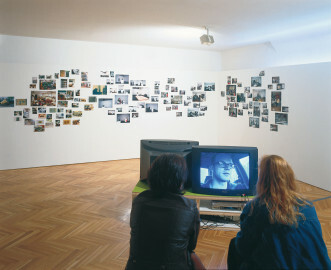 While acknowledging that the theory complex ‘pop / art’ has already been extensively treated, Schmid/Scholz start exactly at the point where the juxtaposition of the two fields of discourse seems to be taken for granted and lead the respondents, themselves and ultimately the viewers of the ensemble they have developed back to the beginning of the question. The intention of consciously placing the work within the exhibition field is reinforced by the ‘white cube’ embedded in the Grafisches Kabinett. 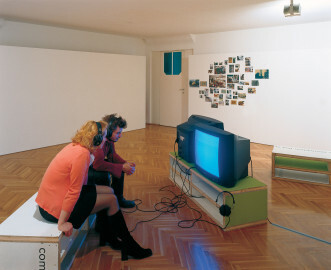 The ‘recycling’ rostrums, which are both pedestals and seats and astonishingly reminiscent of parts of Renée Green’s exhibition Between and Including, signalize randomness or formal indifference, yet they are aesthetically defined again by the choice of the exhibition title artifacts shared the assumption that ev. 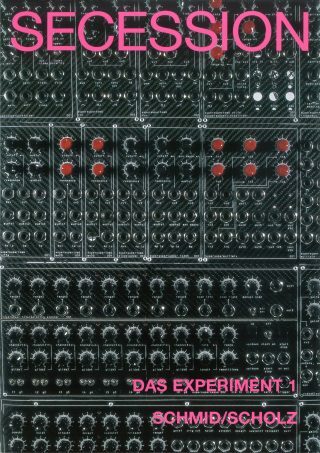 The end of the process that actually began two years ago with the building of the synthesizer is not yet in sight at this point, but visitors can follow its course, or intervene in it, with the pinned stretch of pictures that will be changed as the project progresses. Michael Schmid, born in Upper Austria in 1979. Christoph Scholz, born in Kaiserslauten in 1974.